Monday-Tuesday, I had a 2 day Louisiana Fly Fishing Trip for redfish. The winds were up and the water was a bit off-colored, but my guys managed to put several nice redfish in the boat each day. When the weather is stacked against you while fishing, it is smart to slow down and a take advantage of every opportunity. That fish you push past because you were moving too fast, may be your last opportunity for the day. 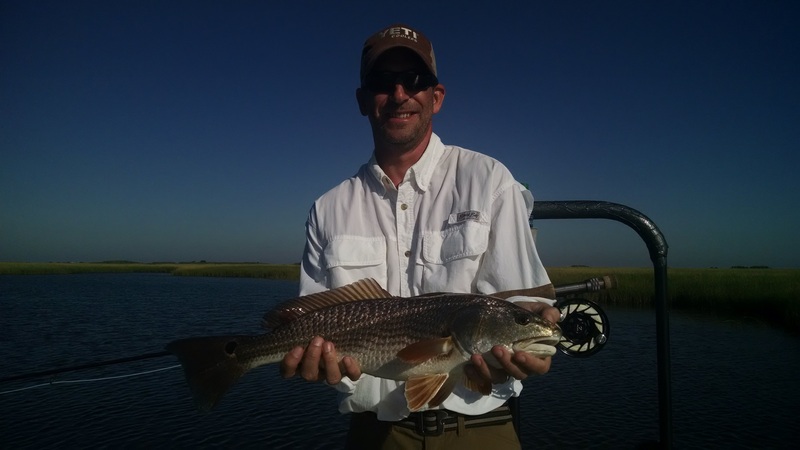 For more information on fishing with us, give me a call at 504-382-2711.